Washington, Dec 5: The US Supreme Court on Monday allowed the third version of the Trump administration's travel ban to take effect, impacting citizens of eight countries from entering the US. 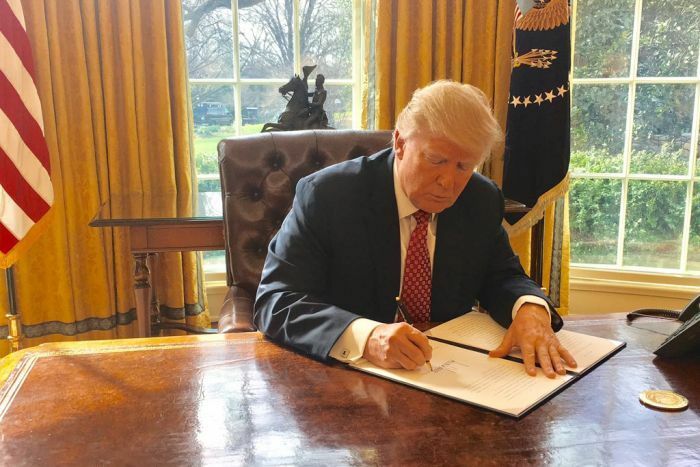 The ruling lifted restrictions imposed by lower courts on the travel ban, which bars all citizens of Syria, Iran, Chad, Yemen, Somalia, Libya and the Democratic People's Republic of Korea, as well as certain officials from Venezuela from entering the US. "In light of its decision to consider the case on an expedited basis, we expect that the Court of Appeals will render its decision with appropriate dispatch," Xinhua news agency quoted the Supreme Court ruling as saying. The travel ban, released in September, was the third version by the Trump administration. The Trump administration said the ban was needed to ensure national security, while critics said it was a form of religious discrimination as most of the countries impacted by the ban are Muslim majorities.